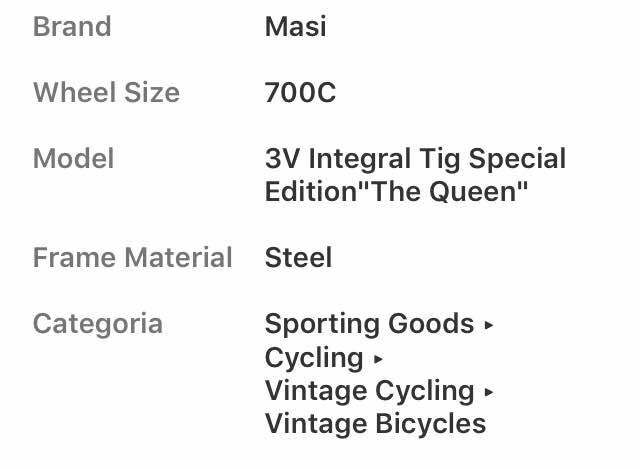 Masi 3v in the special The Queen Limited Edition version, launched at the International Cycle Show. 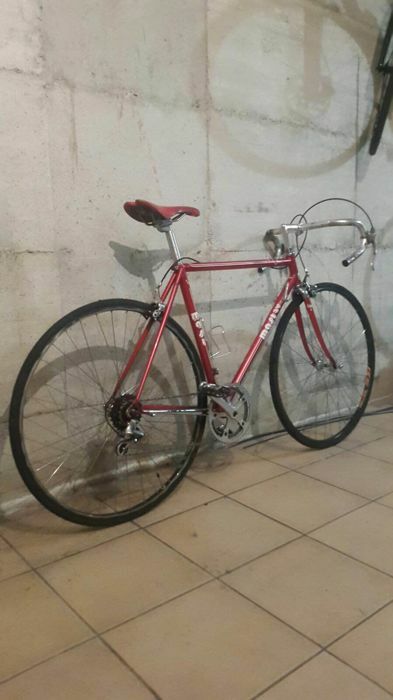 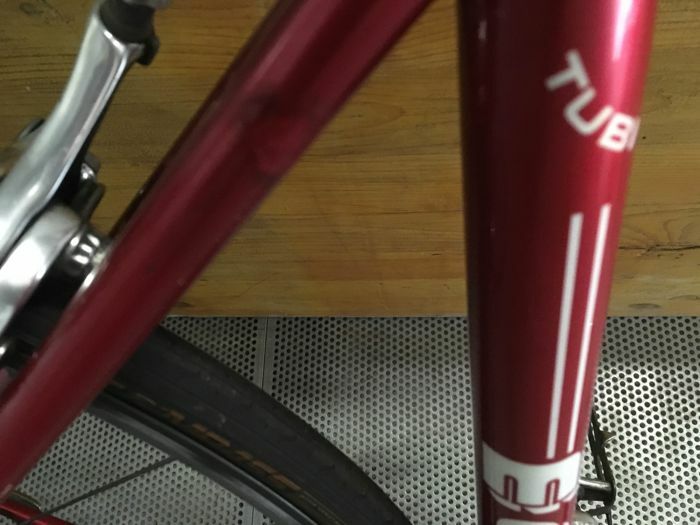 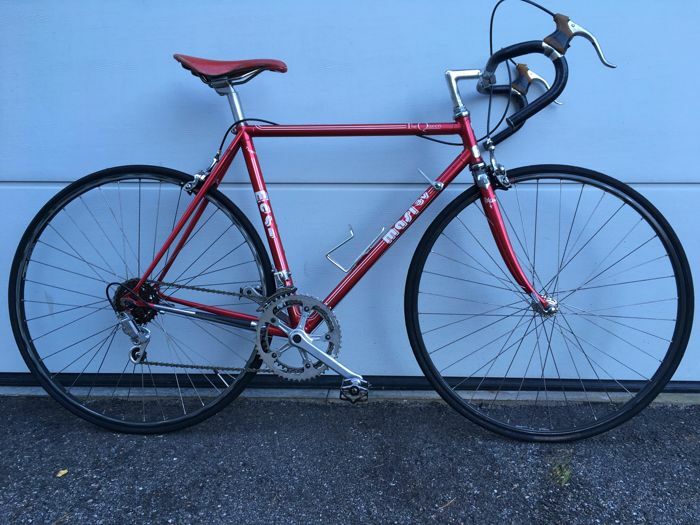 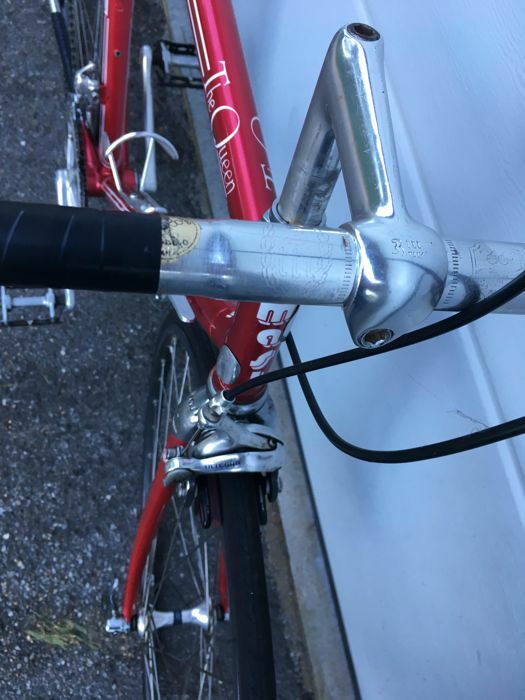 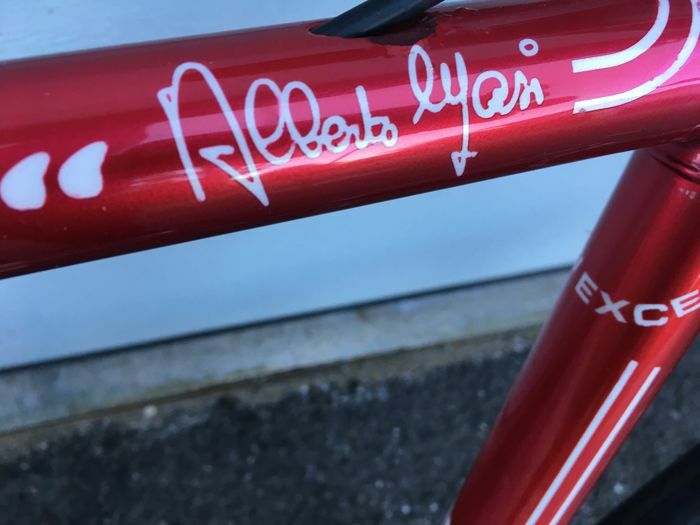 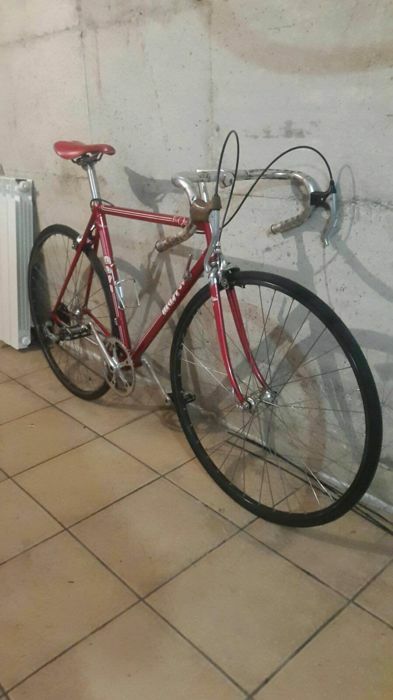 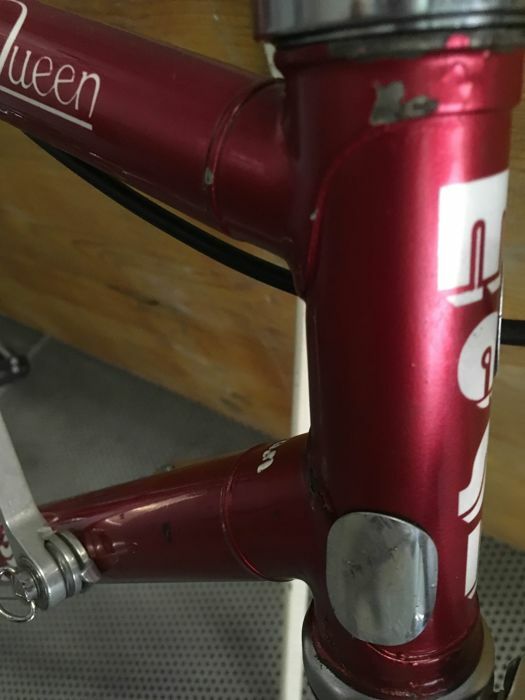 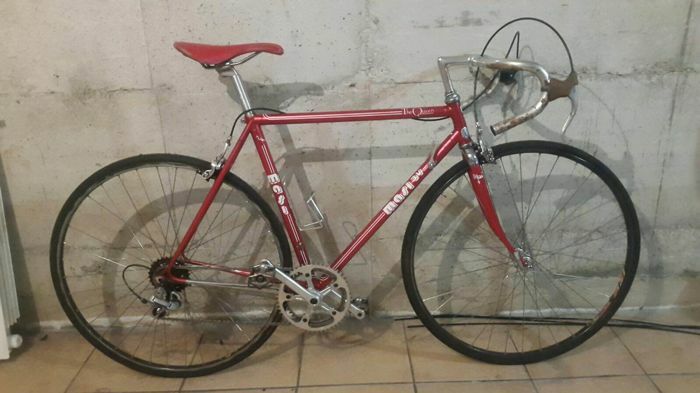 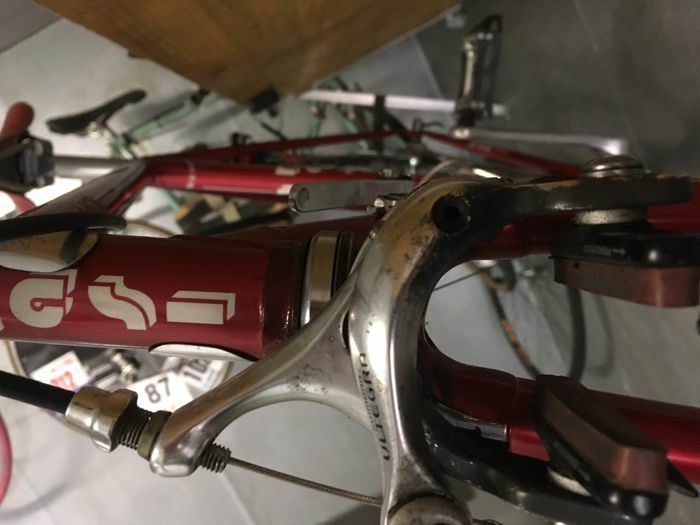 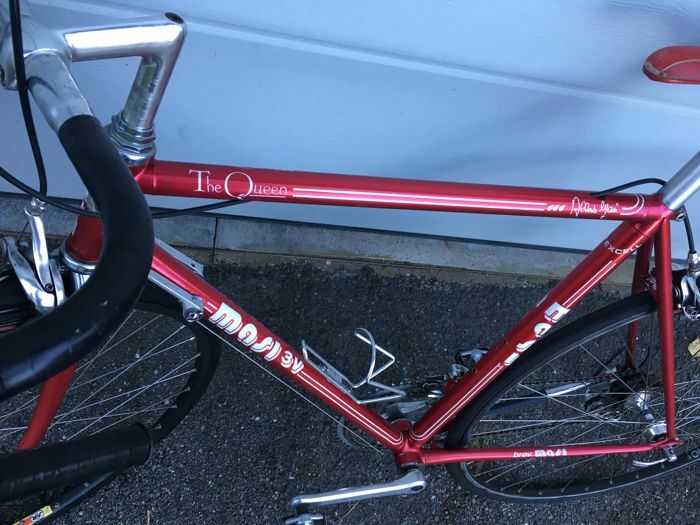 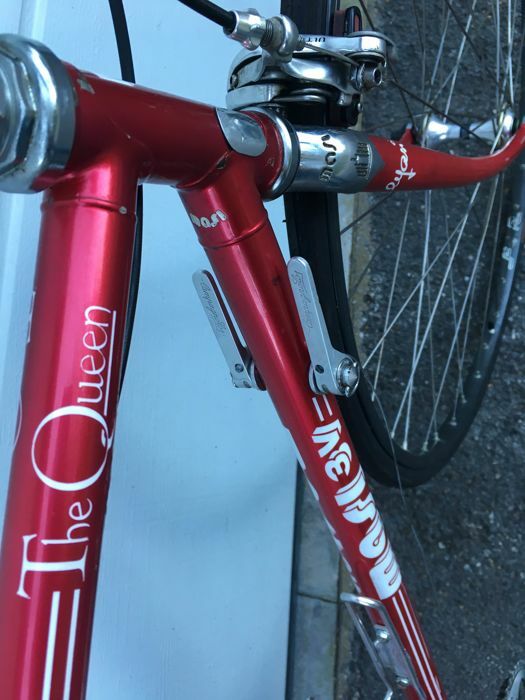 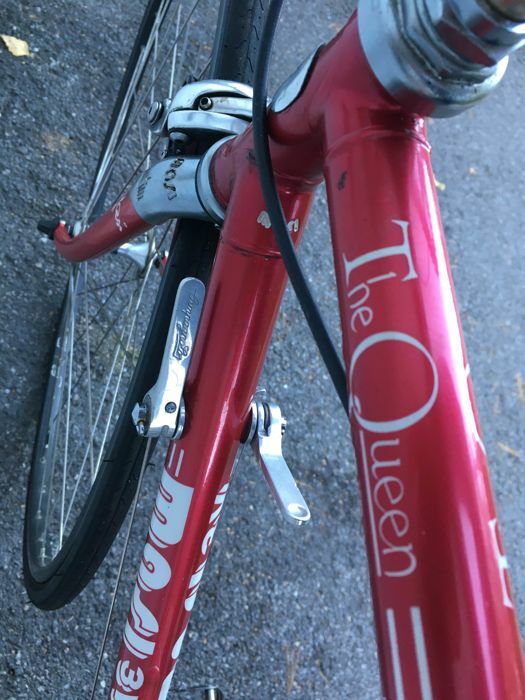 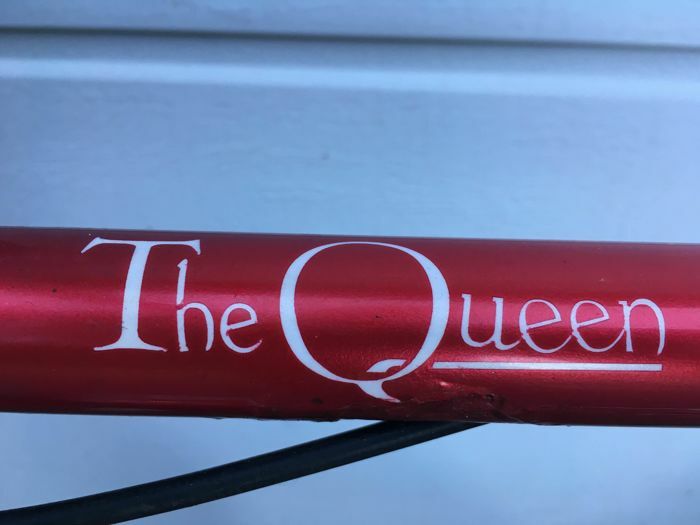 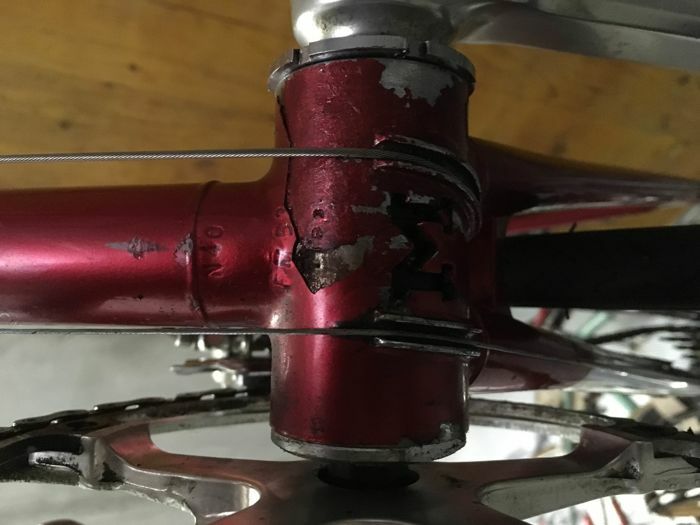 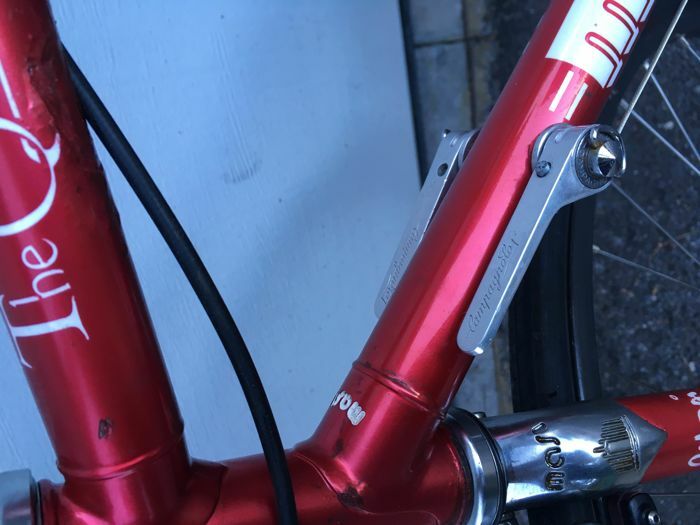 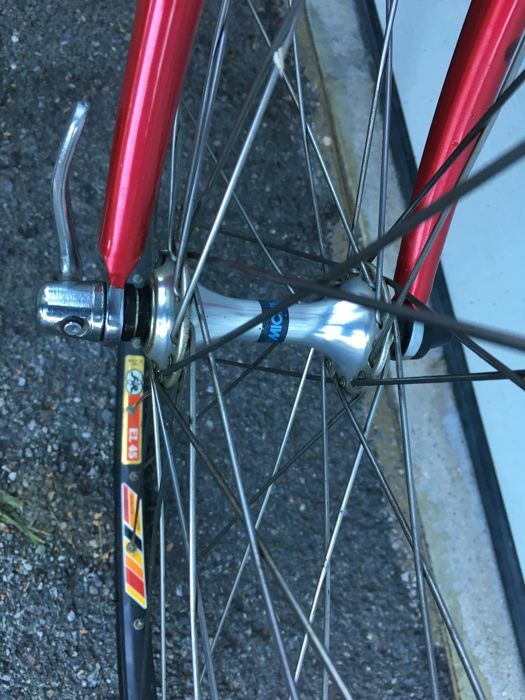 Size 53 cm from pedal centre to seat centre; numbered steel frame never repainted; healthy frame; peculiar pearly red colour in 3 layers. 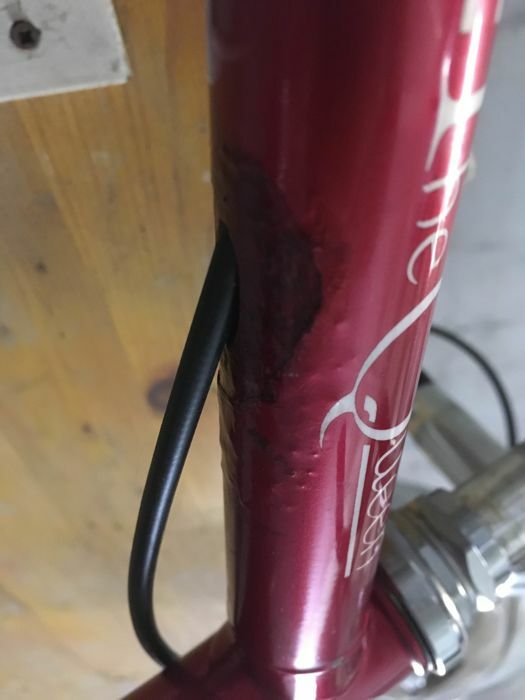 The paint has come off in some non-visible spots. 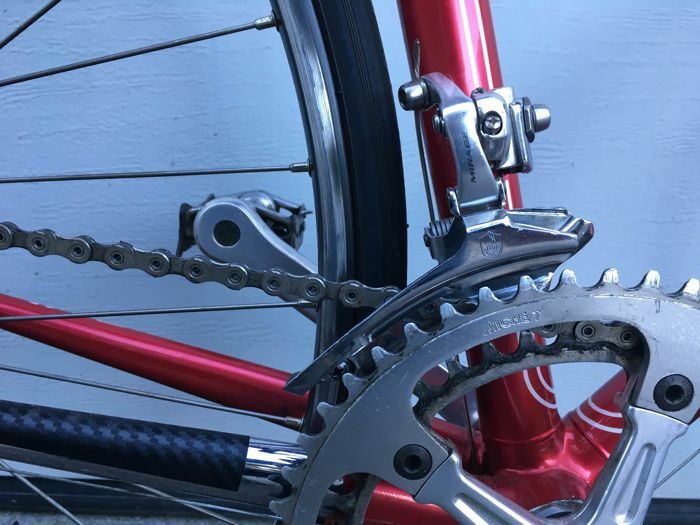 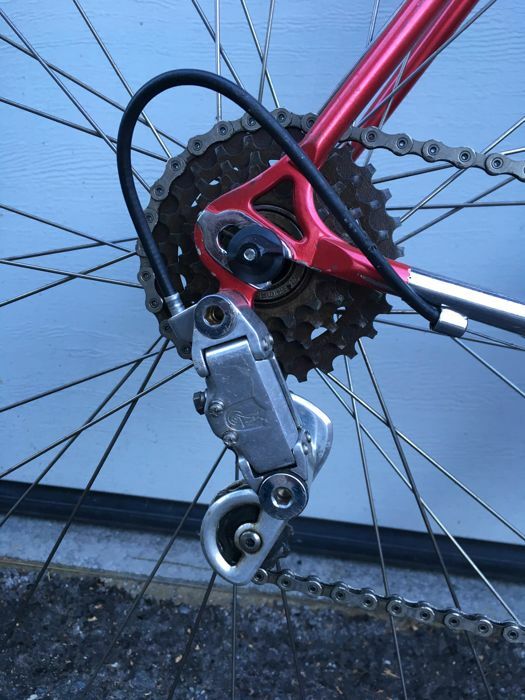 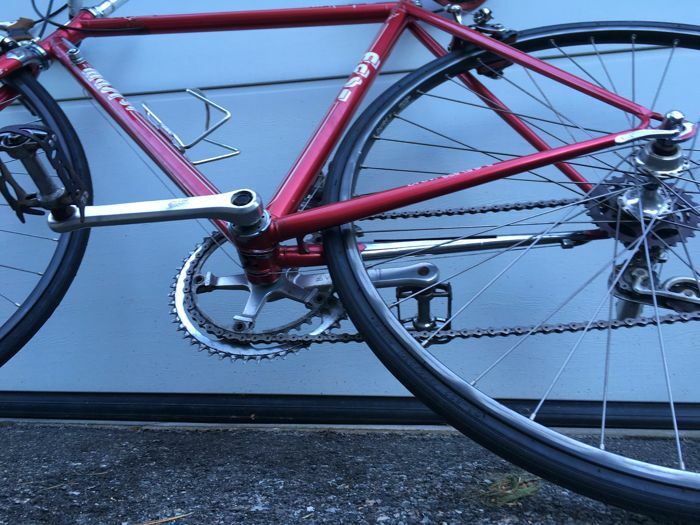 The bike is perfectly running and mounts a Campagnolo gearbox.